Squat toilets still reign supreme in China. 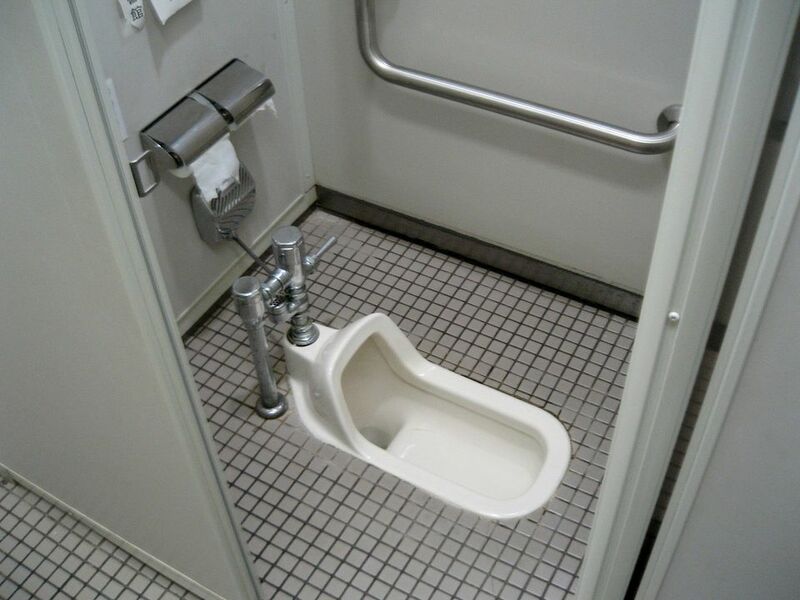 While the "western" toilet is making inroads—in big cities and airports, you'll find a few of them in the row of toilets in the bathroom. However, there are still lots and lots and lots of "squatty potties" and likely as not, you'll venture into one. But don't fear! Using a squat toilet is. There are tricks to the trade and if you're prepared, you'll be able to do your business with confidence. But I do recommend being prepared. While it's not as hard as it seems, it's good to know what you're getting into before you go. Pack Tissues. Before you even leave the hotel, make sure you've got portable toilet paper with you. Lots of public restrooms don't provide it. Wet wipes and hand sanitizer are also good to have along as if there's a sink, there may not be any soap, and probably no towels either. Plan Your Business 1. "Preventive Peeing" or going before you go is a good way to avoid getting caught in a place that won't have a nice toilet. (Nice doesn't necessarily mean Western by the way.) Pretend you're all five years old and make sure everyone goes before you leave the house. Plan Your Business 2. If you're going to be out and about, think about where you'll be and try to plan some pit-stops in between. Especially in big cities, international hotels, upscale restaurants, and shopping malls will have clean washrooms with most of the amenities (toilet paper, Western toilets, soap, and towels). Places to avoid using the bathroom: large markets (especially outdoor markets), street-side public bathrooms (though they're improving), tourist spots. Bag Hand-Off. If you can, hand any unnecessary bags to a friend while you use the washroom. There are generally no hooks and you'll need your hands to balance, to dig around your purse for tissues and to hold on to the door if the lock is broken. Queuing Up. If you find yourself outside the comfort of your hotel, don't panic. It won't be unbearable. Queues in China don't work the same way as they do in the States. Women generally line up in front of a particular stall rather than hang back as one opens. This can create a free-for-all so it's best to stick to one door and keep your eye on it. If it happens not to be a Western toilet, better to get in there than re-queue. Many times, doors have pictures or signs indicating Western or squat-style toilets. Also, check the lock, if it's red, then it's occupied. Green means free but always knock. Pants Check. I don't want to scare you but some washrooms are rather wet - either from splash effect or the toilet maid (usually there is someone assigned to sit in the washroom and clean it) running amok with her mop. Either way, it's not moisture you want on your new linen trousers. If it's wet, roll them up, especially if you're in line for a squat toilet. If you see other Chinese ladies rolling, then be sure to. They know something you don't. The Squat. OK, well, you've found yourself in a squatty potty. It's really not that bad and many argue it's actually healthier to go this way than sitting down. Whatever, if you're not used to it, squatting can be really difficult. Face forward and try to let your pants down while ensuring that the ends are up (hopefully you've rolled) and not touching the floor. There are grooved places for your feet on either side of the toilet. Try to get somewhere in the middle, feet flat on the floor (you don't want to fall in, believe me) and aim for the potty. Paper Discard - Not in the Pot! Chinese plumbing in public restrooms generally doesn't handle paper. If you can remember, please put anything other than #1 or #2 in the basket. Try as hard as you can NOT to look at the basket, it's usually open and teeming with things on which you'd rather not lay eyes. Finish Up. Out you go, you accomplished squat toilet user. Unroll your pants, wash your hands, if you can, and find your friends waiting for you outside. Pants Down at the Side. Help take your child's pants down before the squat begins. Foot Placement. It's important to get your child to straddle the toilet before squatting. Support Your Child. I find it best to squat in front of my child while holder her around the back under the arms so that she feels comfortable. You could also stand and hold your child's arms/hands but this may become uncomfortable for them. Hold the Pants. If possible, especially for girls urinating, hold her pants away from her (maybe even take them off) so she doesn't get them wet). It's really not that bad once you get the hang of it. And isn't it better than hovering over a public toilet seat? A note on the trough. As hideous as this sounds, there are places where there are still troughs in public bathrooms. In these types of public toilets, there are usually door-less stalls facing up to a long trough with water running down from one end to the other. Folks back up and squat over the trough and everything floats away. These types of toilets are going the way of the dinosaur, but consider yourself warned. China's reputation for horrible public bathrooms used to be well-deserved, but these days, the government is doing a lot to improve the state of the facilities. You'll often find public toilets rated with stars. There's a lovely 4-star public toilet on the Sacred Way outside of Beijing, for example. Have a few coins (1-2rmb) with you for use in public restrooms. There's usually a charge and toilet paper will be given with the fee. Try not to freak out about the squat toilets. Likely as not, you won't have to use one and if you do, it's all part of the experience.